There is little argument that when communications regulator Icasa cut mobile call termination rates — the per-minute charges operators levy on each other to carry calls between their networks — there was a significant flow-through of benefits to end users. Smaller operators Cell C and Telkom could take advantage of the lower charges to compete more effectively on price with their bigger rivals, Vodacom and MTN. A price war ensued, and today South Africans are paying much less, on average, for voice telephony than they did just five years ago. Although Icasa made a mess of crafting the regulations — resulting in a successful but ultimately futile court challenge from the big incumbents — the 90%-plus reduction in the wholesale rates over the past half a decade or so has led to lower retail prices. It could be argued that termination rates should never have been allowed to be as high as they were — R1.25/minute at their peak — but forcing them down was the right thing to do. There is now mounting pressure on the regulator to do something similar when it comes to data — to deal with (perceived) high prices and aggressive data expiry policies by the operators. In the first of a series of planned interventions, Icasa last week published draft regulations dealing with data expiry. The move has been widely welcomed by consumers, but the intervention warrants caution and careful interrogation because there’s a danger that it could lead to unintended consequences, including higher prices. To recap, the draft regulations propose various tiers of data expiry based on the size of data bundle purchased. They also attempt to put a stop to the exploitation by the operators of out-of-bundle pricing, which in some instances is still punitively high: as much as R1/MB or even R2/MB — and few would argue that those prices amount to gouging. Where there has been consumer criticism of Icasa’s draft regulations, it’s been that it hasn’t gone far enough. Many consumers argue, probably incorrectly, that data shouldn’t ever expire. But to optimise and plan their networks, and for simple practicality, data should have a sell-by date. The question is, what should that expiry period be? And should that timeframe be determined by the regulator, or should the market be allowed to decide what’s right? If it’s determined that there’s insufficient competition, then that should be addressed through policy — by licensing new competitors or even creating an environment where the operators are required to open their data networks on a wholesale basis, much like Telkom’s Openserve does now with third-party Internet service providers. It’s worked wonders for the fixed-line market, where ISPs have come up with innovative packages and forced down prices (where they have been able to). That said, focusing the regulatory spotlight on data expiry and out-of-bundle pricing — forcing the operators to justify their practices — is not a bad thing. Whatever they might argue, the big mobile networks have not done enough to address the prohibitive costs for the poor of connecting to the Internet. And the poor end up paying more, per megabyte consumed, than the rich. The wealthy can afford uncapped fixed-line data; the poor are reliant on mobile and often can’t afford the larger data bundles that offer lower in-bundle rates. Hopefully, Icasa’s inquiry will make the CEOs of these companies think more creatively about how to address this issue. In a country where income disparities are so large, it is iniquitous that the poor are expected to pay so much more for data while the rich have uncapped broadband. This is one area where Icasa’s draft regulations fall flat: they penalise the poor. Whereas the regulator proposes that those buying 20GB or more of data (those who can afford it) will be able to keep that data for at least 24 months, those buying between 1MB and 50MB (mostly the poor) can expect that data to expire after just 10 days. The other big problem is Icasa is proposing regulations that could end up distorting the market. If the operators can’t expire data for, say, 12 months (as is the proposal for those buying between 10GB and 20GB of data), what does that do to retail prices? The fact is, the longer it takes for data to expire, the more the cost there is associated with providing that data. Operators need to plan for future demand, and by expiring data after a certain period, they can (in theory) keep prices down. Some have even begun offering (relatively) low-cost data bundles that expire in a day or even after just a few hours: this simply wouldn’t be possible under Icasa’s plan. What does that mean for product innovation? There are no easy answers to these issues. But Icasa, under pressure from consumers and politicians, must resist taking a populist course. It must tread carefully in crafting regulations, lest they unintended consequences. It’s almost always best to leave the market, where it’s sufficiently competitive, to determine the right products and prices, especially in the retail space. If competition hasn’t led to the right outcomes, then it’s best to address this through policy interventions rather than telling operators how to design their products or, worse, what prices they can charge (which, worryingly, may be next on Icasa’s menu of planned interventions). Good points. The major issue, for most, is OOB. This is one thing that the regulator could fix without distorting the market too much. This should be opt in. Period. And, it should be easy to opt out. I think we’re already seeing some of this in the market Simon. Telkom won’t let you browse the internet if you run out of bundled data unless you specifically opt in and set a value for your OOB usage, each time it happens. MTN’s current contract tariffs also allow users to set their own spend limit for out of bundle usage and notify you when you start using chargeable services, and you start at a default limit of zero. Both let you buy more bundled data instead of using OOB. I don’t know whether the other 2 have similar as I haven’t used them. 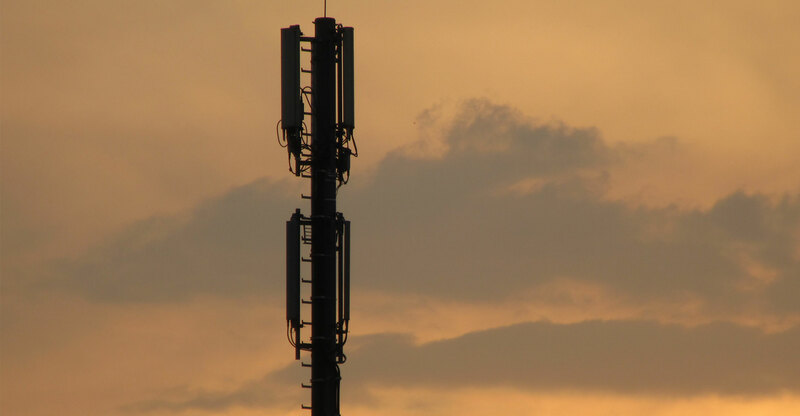 The real issue is data prices and volumes for the poor, and that requires much more serious thinking from everyone, as well as a move on allocating more spectrum. We cannot just expect our operators to drive down prices of data when they cannot take advantage of the kinds of technologies available in the rest of the world where spectrum is properly allocated. not going to be the ‘deal buster’? The fact of the matter is that the greatest majority of the people cannot afford contracts. That is the bottom line, yet they are being ripped off, shafted and exploited. And it urgently needs fixing. Honestly? I see no reason whatsoever that the networks cannot plan once the market trends have settled into the new expiry windows. Having data expire is ridiculous, and most people would like it to NEVER expire. This is a half-measure of compromise, allowing the Networks to still maintain an unreasonable operational stranglehold over the users consumption behaviour. The Networks have had it far too good for far too long, it’s time there is REAL competition, and not this seemingly cartel price fixed environment. As a vital aspect and foundation for economic growth, I am surprised that the government has taken so long to step in and begin some kind of progress towards fairness. The out of bundle protection at MTN is for contract only. There is (as far as I know), no OOB protection for prepaid data. However, volume pricing is the staple of the western economic model and for very good reason. Buy one roll of toilet paper at the store and it will cost you more per roll than the twenty four pack. For all the obvious reasons. Data is far from a “right” and there is no reason why other consumers should be required to subsidise “the poor”. However, as you point out, availability of spectrum would bring down the prices for all. OOB protection and reasonable access windows for data are not too much to ask. The current product offering are specifically designed to confuse customers out of their money. Telkom’s small data bundles that are all valid until the last day of the following month are great. Vodacom’s 30 day bundles which confuse the customer through 28 and 31 day months being a perfect example of something specifically designed to confuse. Some great points Duncan. The proposed regulations will in fact penalise the poor, as well as a huge number of IoT/M2M SIMs that will see data costs treble. It is one of the most badly drafted regulations I have come across. The best way to decrease data costs is to speed up spectrum allocation, open the market (like you said) and let the market push down prices and innovate on new products. The data expiry argument, that it helps operators with better network planning ,makes no sense. Firstly data and voice calling place similar hardware and backhaul requirements within their respective disciplines depending on active users, and yet airtime (prepaid ) does not expire but data does. Second, who has not experienced the overloading of data networks in the last two days of a month as people desperately try to achieve some value from data bundles get have bought and are about to expire. Without these expiry deadlines these data saturation spikes would simply not exist. Those are good points, I forget about prepaid having an OOB challenge. Overseas, mobile operators are overcoming these issues of backhaul planning and base station congestion with intelligent DWDM networks that can turn up capacity where needed on the fly. They are having issues with 3G and 4G/LTE users travelling between base stations during the day. In the morning, the neighborhoods and living areas are congested. When people go to work, the traffic utilisation moves to the business areas and at night, it moves back to the residential areas. So, they build networks that monitor capacity and automatically activate wavelengths as required. Though, one have to admit that they do not have the spectrum constraint that the SA networks have. This is probably the biggest issue. Agreed, this notion that they have to now cater for some sort of “hoarded” data suddenly hitting their network is bizarre. If they had a decent expiry period, such as that set out for other retail vouchers of say 2 to 3 years, then people would settle into a usage pattern and probably be more comfortable consuming data at a steady pace. There is no earthly excuse for the current practices, and it is basically theft unless they refund the people whose data bundles have expired. They don’t want to change it because its free money from their perspective.. The other issue is the automatic use of the newer bundles data first. This is also just theft. The problem with “letting the markets decide” is that there are too few operators for real capitalist market forces to be in play. We have a very few, equally arrogant, greedy, and incompetent players in the market. The idea that they will actually compete on a genuine level to the benefit of consumers is pure fantasy. I’m not a fan of over regulation, but this is one arena where a bunch of scum have been allowed to run rampant and steal from customers for far too long. There is no additional cost for the data to never expire, I work with this every day of my life…. Once a volume of product has been purchased for consumption it is up to the individual that purchased it to decide how and when that product is consumed. By selling a product that has no shelf life with an expiry they are stealing from the consumers. It’s like selling a tank of petrol and then at the end of the month draining what is left “because it expired”. This piece reeks of corporate support! 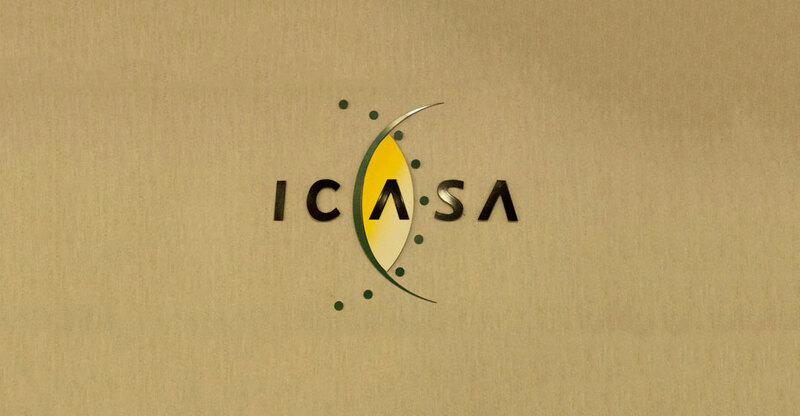 Why should ICASA proceed with caution. The ISPs sell a product the same as any other retailer. You dont see a supermarket taking away your loaf of bread because you did not eat it all fast enough. When you pay for 1GB of data that data now belongs to you and it is theft to take it.